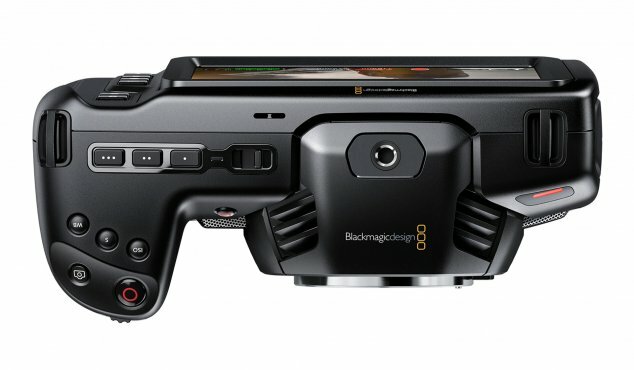 The Blackmagic Pocket Cinema Camera 4K has a 4/3 size sensor, 13 stops of dynamic range and dual native ISO up to 25,600. That means you get stunning HDR images and incredible low light performance! The external controls give you quick access to essential functions, while the large 5 inch touchscreen makes it easy to frame shots, focus accurately and change camera settings. Images are recorded onto standard SD/UHS-II or CFast 2.0 cards in RAW and ProRes at up to 120 frames per second! 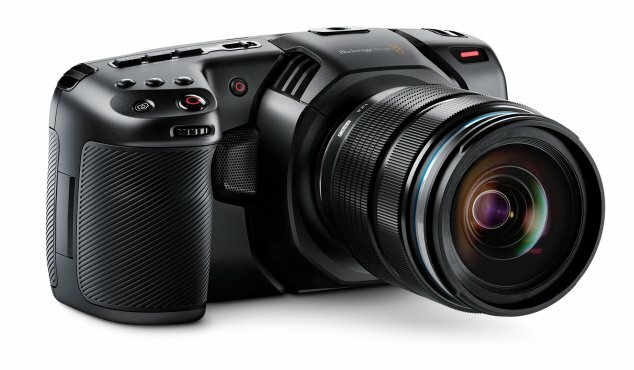 In addition, the Blackmagic Pocket Cinema Camera 4K has an MFT lens mount, built-in microphones, mini XLR input, full sized HDMI, 3D LUT support, Bluetooth, USB-C Expansion Port. The highly compact form factor features a carbon fiber reinforced composite body that makes it extremely durable and lightweight so you can take it anywhere. You get a super bright 5” screen, 4 built in microphones, built in recorders and external buttons and dials that give you fast access to the most important functions. You also get lots of mounting points, a mini XLR input with phantom power, Bluetooth control and more. 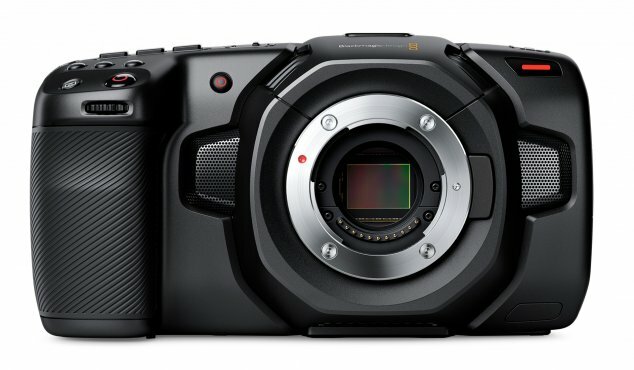 The Blackmagic Pocket Cinema Camera 4K includes a full version of DaVinci Resolve Studio, which is a complete post production solution. 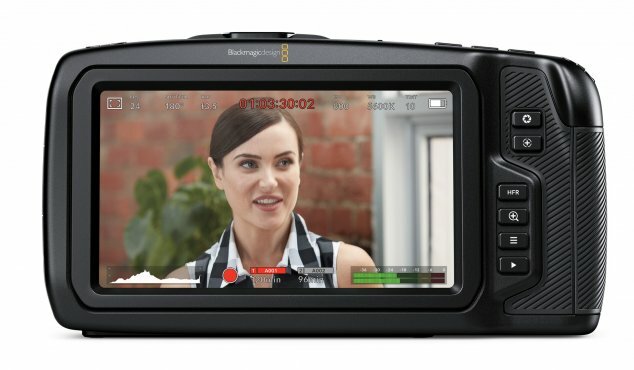 PhotoCineshop is an official distributor of Blackmagic Design in France. LUMIX G 25 mm f/1.7 Asph. Designed in parallel with leading-edge camera manufacturers, the SanDisk Extreme PRO® CFast 2.0 memory card offers more than twice the shot speed of today's fastest memory cards. The SanDisk Extreme PRO® CFast™ 2.0 memory card delivers the high performance that broadcast, cinema, and photography professionals demand today. This adapter for Canon EF Lens to MFT Cameras allows a full-frame Canon EF-mount lens to be mounted onto a Micro Four Thirds-mount camera. The MFT to PL Adapter Pro (1/4-20 Support Foot) is a shimmable version of our popular micro four thirds lens mount adapter that enables mounting of PL mount lenses onto the MFT cameras. The adapter Speed Booster XL 0.64x allows a full-frame Canon EF-mount lens to be mounted onto a Micro Four Thirds-mount camera.